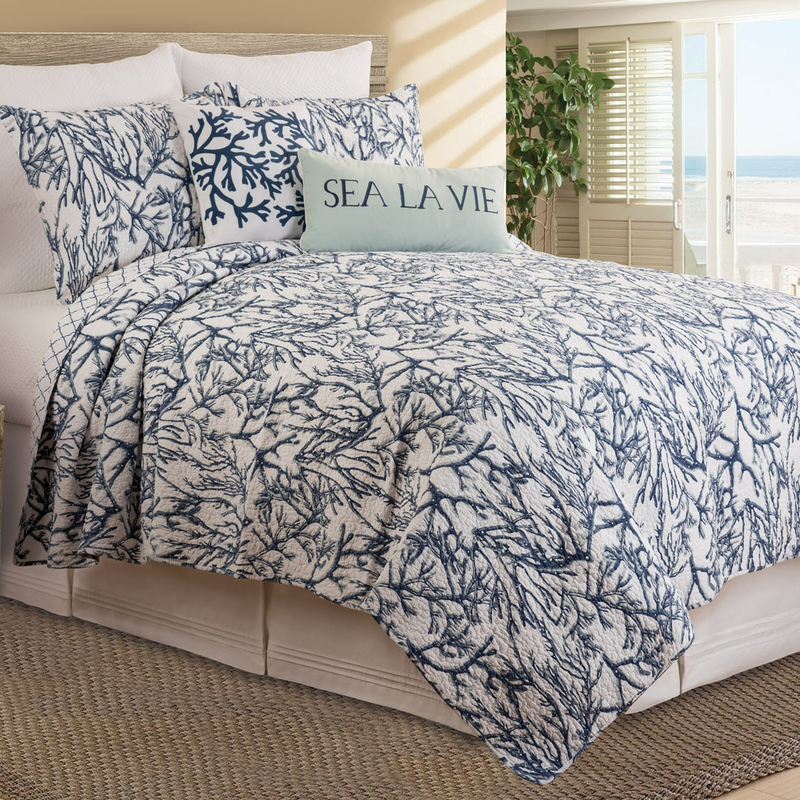 A Bella Coastal D�cor Exclusive - All-over deep blue coral print on soft white cotton with blend filling. Includes quilt and one sham. Machine wash. Comforter: 64"W x 86"L; Sham: 20"W x 26"L. Allow 1 to 2 weeks.